That quality which makes a plant a weed is in the eye of the beholder. Where one person might see only an overgrown flower bed, another might see the makings of a decent salad. Frank down the street is probably tearing his hair out trying to get all the nettles out of his garden, while Susan next door is not only eating them for dinner every night but has also placed an order with a fancy seed company so that she can grow dandelions and wood sorrel – on purpose. The author’s very own overgrown flower bed. Pictured: common mallow, peppermint, carrots, and parsley all gone to seed. The dictionary definition of a weed is a plant that grows in an undesirable spot. A potato plant could be considered a weed if it popped up in the middle of your cabbages. The class of plants commonly referred to as weeds in the United States are not without their good qualities. 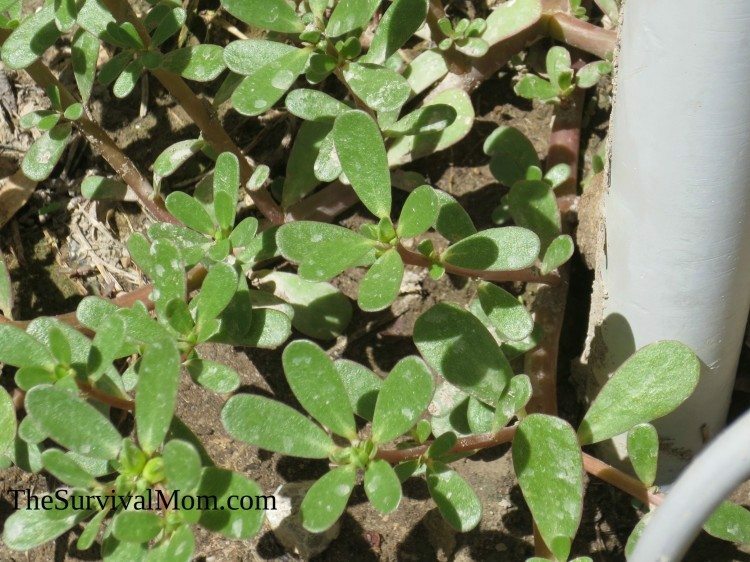 Weeds tend to be high in minerals and some, like purslane, are a source of omega-3 fatty acids. 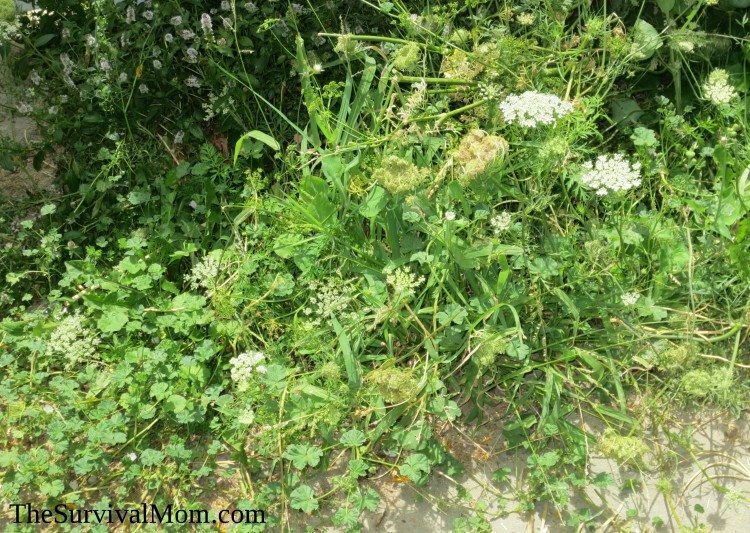 Once you learn to identify these plants and what they can do, you may not try so hard to pull them up. My neighborhood in the suburbs of the Intermountain West is lousy with edible weeds. These make a tasty and healthy addition to salads and some can be substituted for spinach. 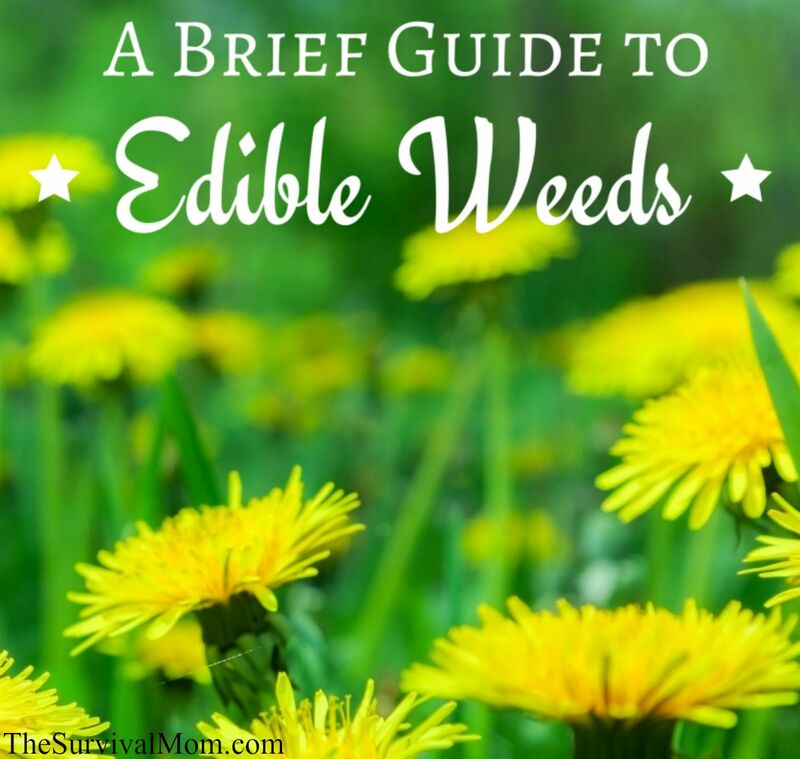 Here is a short list of some of the most common edible weeds and their attributes. Please note: It is always very important that you positively identify a wild plant without a shadow of a doubt before eating it. Some plants that are extremely poisonous often greatly resemble plants that are good to eat. (Hemlock and angelica are prime examples). 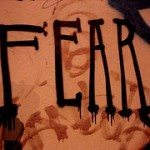 This article should not be treated as a definitive work, but as a guide to help you get started. For further reading, read this article on foraging. Woodsorrel is often confused with clover. Oxalis spp. Not to be confused with sheep sorrel, which is completely different. 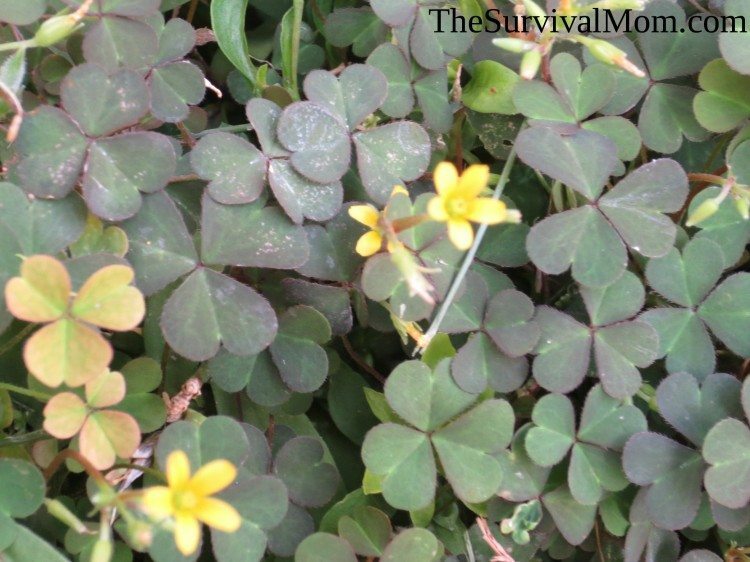 Wood sorrel has clover-shaped leaves and small five-petaled flowers that come in a variety of colors. High in oxalic acid, it has a sour, lemony taste. It is my personal favorite “weed”. Here’s a recipe to try: Wood sorrel and sweet onion tart. This purslane is growing in a traditional weedy place. Portulaca oleracea. While we here in the United States are ripping up purslane by the handful or trying to drown it with weed killer, folks in living in Mediterranean countries use it as a key ingredient in a number of tasty dishes. A succulent, purslane is water-rich. The slightly salty taste makes it nice in a salad, but it can also be cooked. Because of its mucilaginous properties, it can be used as a thickener in stews in lieu of flour or other starch. Purslane is a source of omega-3 fatty acids; vitamins A, C, E, and B; and minerals such as potassium, magnesium, and iron. Where I live, purslane is fairly invasive and abundant this time of year, so I don’t imagine there will be any shortage until the frost comes. Check out these purslane recipes and try one today! 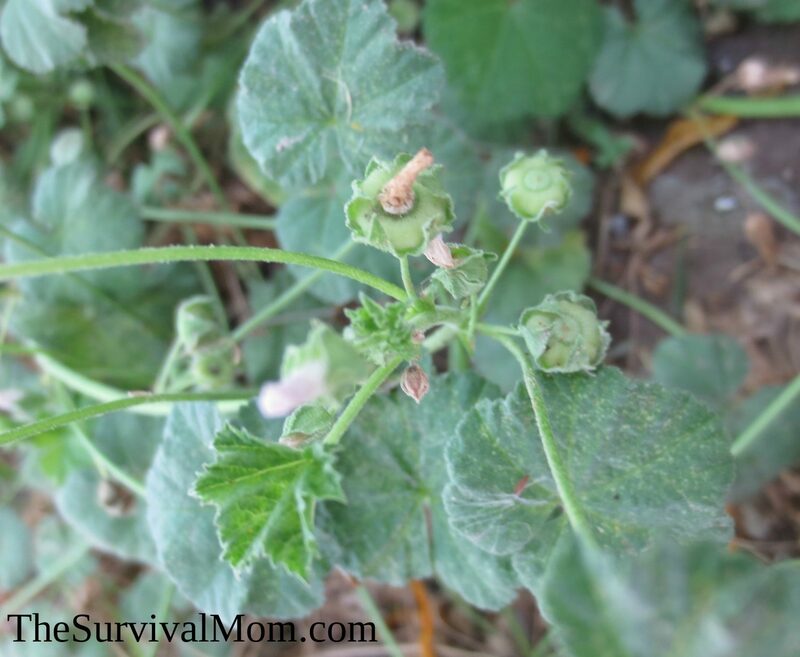 Common Mallow is also called cheeseweed because the seed pods look somewhat like wheels of cheese. Malva Neglecta. A plant of many names. It is also referred to as buttonweed, cheeseweed, and dwarf mallow. Note that this is not related to the marshmallow plant. Mallow, like purslane, is mucilaginous. This property is particularly concentrated in the roots; the liquid obtained from boiling mallow root can be whipped like egg whites and used to make a meringue substitute, although this can be tricky as the mucilage does not behave exactly like egg whites. The leaves can also be used fresh in salads as a substitute for lettuce. Beware: If you ever let this plant in your garden on purpose, be prepared to never get it out again. Common mallow is particularly invasive. Even if you pull it up, a full plant will regrow from any portion of the taproot that is left intact. John Kallas has a recipe for Mallow Meringue in his book Edible Wild Plants. Dandelions. Just in case you didn’t already know what they looked like. Taraxacum spp. 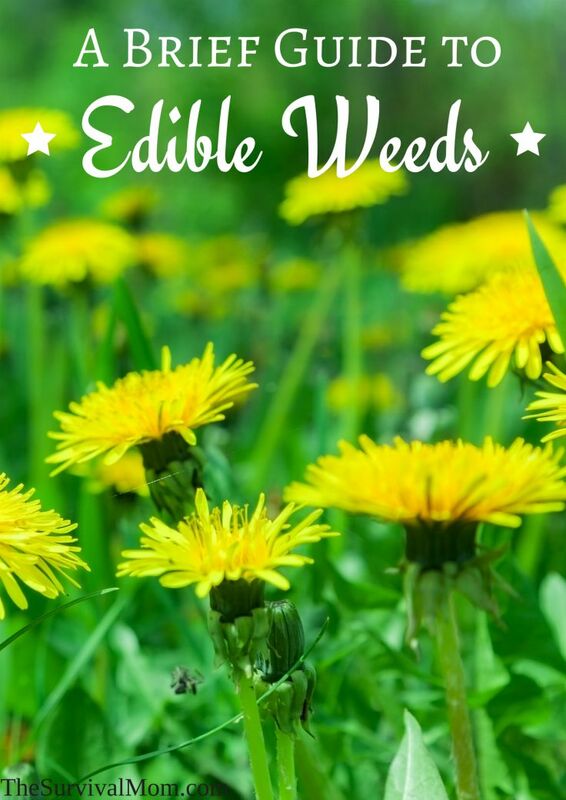 Dandelions usually appear very first on any list of edible weeds. They have a sharp taste that is not wholly unpleasant when eaten young, but once the plant reaches maturity the sharpness becomes almost unbearably bitter. The bitterness can be alleviated by blanching or cooking. Taste aside, dandelion greens are extremely nutritious, being high in vitamins A, C, and K, and a number of minerals including manganese, calcium, and iron. 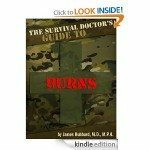 They can also be used as an herbal remedy. 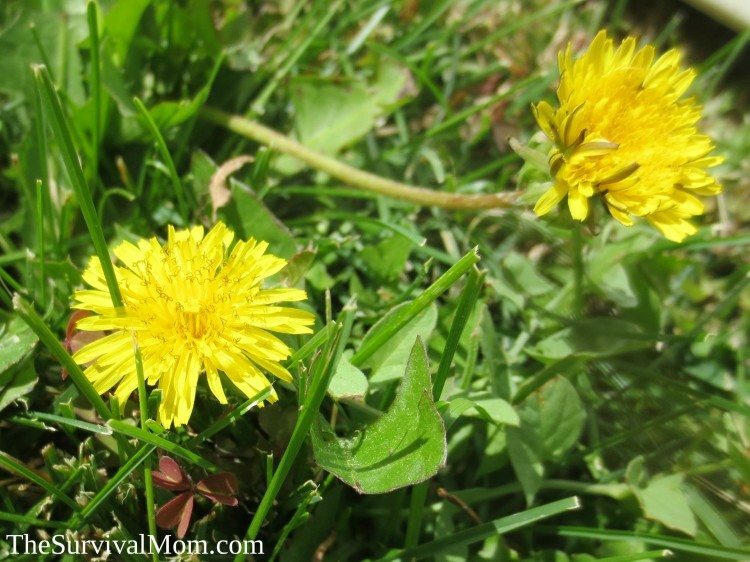 There is more to dandelions (and all the other edible weeds, too!) than just plain in a salad. 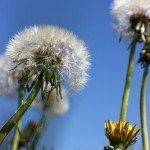 Try some of these recipes and read this article, dandelions: the weed you need for even more info about how to use it. Nettles don’t actually grow in my neighborhood, but I thought I would include them in this list because they are so ubiquitous and invasive in other parts of the United States. 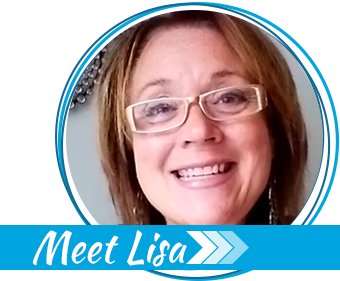 Don’t let the name scare you away. Once cooked like spinach, the nettles lose their stings. 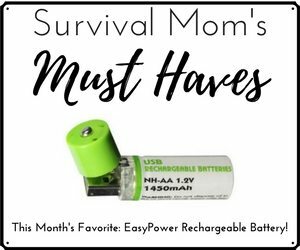 They are also good for more than just eating! When processed using the same method used for flax, nettles produce a fine textile fiber. Many people in Europe resorted to making clothing out of nettles during the drastic shortages of the Second World War. It’s even flame retardant! 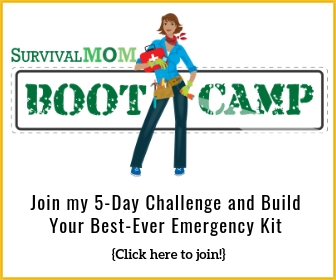 See our article Five Food Storage Lessons Learned From World War II. For further reading on nettles, look at this article, bringing nettles into the kitchen from NPR. Galium aparine Also called goosegrass or bedstraw. Unfortunately, late July (the time of writing) is past cleavers season so instead of showing you a picture from my backyard I must content myself with this Wikipedia article. Look for younger plants in early spring; older plants are tough and are not edible. Some report that the seeds can be roasted and used as a caffeine-free substitute for coffee. Here is a YouTube tutorial on making cleaver coffee. Not everyone enjoys the taste of weed greens, preferring instead the milder flavors offered by cultivated lettuce. Still, being aware of the local flora can be extremely useful and help you find flavor in the weeds. If for any reason you must rely solely on your food storage – say, buckets and buckets of wheat – your body will still require additional nutrients, particularly vitamin C.
Imagine that there is a drought in your area and your lettuce patch succumbs to the intense heat. Mallow and purslane are exceedingly drought tolerant and will keep you in good health, should needs require it. 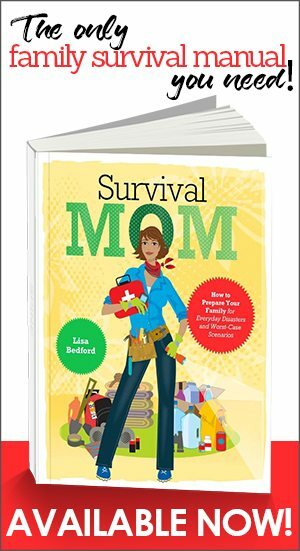 Foraging.com — A round-up of classes, websites, and more. It’s amazing how many weeds are not only good for you, but tasty. We don’t have the good nettles growing here either… but if I ever find any, I’d be tempted to transplant them. Carefully. My personal favorite is Peterson field guides Edible wild plants. I have the eastern/central North America edition because that’s my area. I live in SC and I also love lemony sorrel. I have that, Carolina geranium, vetch, curly dock, dill, wild garlic, wild onions, chick weed as well as all the ones you named. Probably more I am forgetting. I have not bought any veggies in months, I just harvest and eat and add on meat for a salad and steak type meal. Double check that your “dandelions” are actually that. Common imposters are Carolina False Dandelion and Hairy Cat’s Ear. They probably won’t hurt you, but also may not have the incredible nutritional and medicinal properties of true Dandelions, which will always have the “teeth” on the leaves pointing back towards the center of the plant and aren’t as hairy as Cat’s Ear. So gather away! We are truly surrounded by healthy foods(weeds). This is a fabulous post!!! 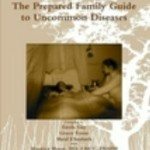 thanks for all the great information. My sister Jane has white window, lemon skunk and sour diesel in her garden, she make’s awesome cookies with these ….I and my friends love to unwind at her place on weekend’s. These lil cookies filled with magic help all of us get through our everyday life and deal with everydayhealth. Short list are always incomplete.